These are dwarves you wouldn't want to mess with - the first glimpse at some of the 13 dwarves from Sir Peter Jackson's The Hobbit, being shot in Wellington, has been revealed today. 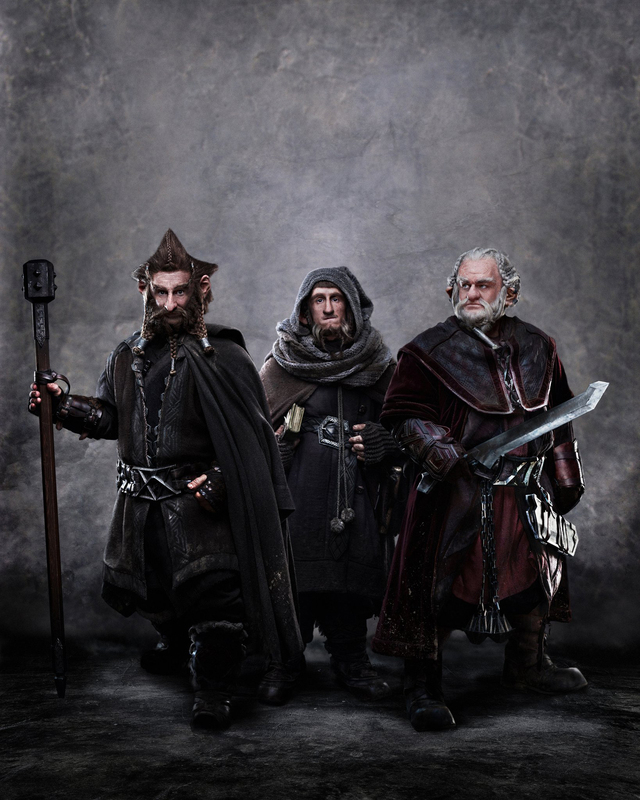 The image (click here for full-resolution image), supplied by Warner Bros to The Dominion Post, shows the weapon-wielding dwarf brothers Dori and Nori (played by Kiwi actors Mark Hadlow and Jed Brophy) and Ori, played by British actor Adam Brown. All three appear to have been transformed by prosthetics and makeup, especially Brophy, and are about as far away from the cute Walt Disney versions of dwarves that anyone can imagine. Warner Bros said the brothers are very different characters. Dori, the oldest, spends much of his time watching out for Ori, the youngest; making sure he hasn't caught a chill or got himself killed by the wolf-like Wargs or Goblins. Nobody quite knows what Nori gets up to most of the time, except that it's guaranteed to be dodgy and quite probably illegal. But the three are intensely loyal to each other - and whilst they are perfectly happy fighting amongst themselves, woe-betide anyone who means harm to one of these brothers. More images of the 10 remaining dwarves who also travel with Bilbo the hobbit (played by Martin Freeman) will be released over the coming weeks.